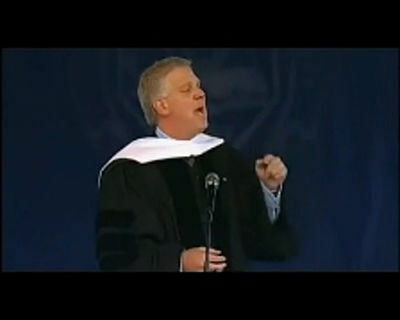 Media personality Glenn Beck, here seen delivering a sermon, is a prominent preacher of capitalist dogmas. The word “socialism” possesses the power in American political discourse to end debates, thwart policy proposals and tarnish reputations. All FOX News has to do is put a politician’s name and “socialist” in the same sentence and the message to their viewers is clear. For millions of Americans, socialism is regarded as an existential, heretical threat. Now, with self-described democratic socialist Senator Bernie Sanders entering the 2016 presidential race and drawing widespread popular support, the tide might be changing. But convincing Americans to violate capitalist dogma is tricky, even if it’s in their best interest. Here, capitalism is not so much an economic model as it is a national religion, with defenders as fanatical as any other. The same holds for our 230-year-old Constitution, unyielding deference to which can only be considered religious. Those who worship the founding fathers, though, ought to pay attention to what they said in other writings. Thomas Jefferson, for instance, believed constitutions should be revised, if not wholly rewritten, by every generation. To quote him directly, “Every constitution, then, and every law, naturally expires at the end of nineteen years. If it be enforced longer, it is an act of force, and not of right.” It’s a lesson we can apply to our economic system as well. Society’s idea of what’s moral evolves, and our laws should reflect those evolutions. At this stage of our social and technological development, one view of social morality might be that a society should ensure access to food, healthcare, education and shelter for all its inhabitants. Such a view is hardly universal – at the far-right end of the spectrum, capitalism is extolled precisely because it doesn’t bother with such inappropriate concerns. More moderate defenders of a free market system, though, likely agree that in the best society, all people would have opportunities to access these things. They simply argue the free market is the best avenue to such a society. Our national discussion, at any rate, should focus on how to achieve this. Those who claim capitalism affords the most widespread access to food, shelter, education and healthcare must insist that the system we have now isn’t capitalism at all. If what we had now was capitalism, capitalism certainly wouldn’t sell as the answer. But contemporary America sure looks like the logical conclusion of a capitalist society. We’ve arrived at a point where everything’s been bought and some clear winners have emerged. It’s interesting to note, however, that for those winners at the top, America is actually a perverse kind of socialism. It’s a socialism that secures a certain standard of living for the very wealthy. They enjoy this privilege in a number of ways – they own everything; they are nearly exempt from the criminal justice system, except in cases where one of them goes too far with another; they write most of the laws; their wealth is enormously enhanced by the labor of others, who may not themselves be able to afford even rent; and they gorge on the public trough. 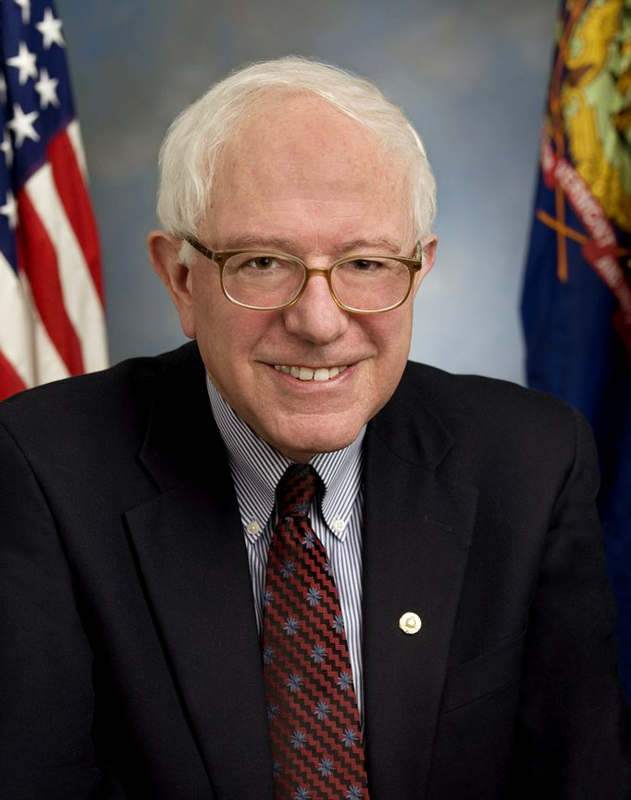 Independent Vermont Senator Bernie Sanders is a self-described democratic socialist running for president in 2016. This is the kind of corrupt insanity Bernie Sanders and his supporters want to put a stop to. Increasing the tax share of the wealthiest Americans is part of the solution, but it’s opposed by capitalist preachers. For the most fundamental on the far-right, the argument is that all taxes are theft. But the more moderate and much-touted concern is that if we start taxing the rich to pay for unmet needs of the poor, the rich will stop creating jobs and we’ll all suffer. Being a faithful capitalist requires believing in the myth that rich people are job creators. Forget about it. They are already incomprehensibly wealthy, avoid paying taxes, and emerged from the recession stronger than ever – and they aren’t putting Americans to work. Many jobs they have created have been overseas, where they can pay even less than here in both wages and taxes and let their employees sleep on the factory floor. In other words, they can behave like unregulated capitalists – just as they did in Gilded Age America, a time harkened back to by many fundamentalist capitalists as glory years. Those who insist a purer form of capitalism is the best solution have yet to explain how even less regulation would improve a situation in which businesses – if they’re big enough – are set up to get away with just about anything they like as it is. No one model is likely to have all the right prescriptions. The question of capitalism versus socialism is not an epic clash of good versus evil. It’s essentially a matter of bureaucracy: “How do imaginary notes get distributed among people who live here?” Yet the mere prospect of any progressive adjustment to that calculus brings out a paranoid terror in capitalism’s faithful, who fear that any socialistic implementation places a society on the path to becoming the Soviet Union. History affords us many lessons, but it isn’t prophetic. Socialist ideas that have failed and those that have succeeded can both be learned from. Human beings are sophisticated enough to adopt what seems to have worked, leave behind what didn’t, and tweak it as they go along. Every society has mixed elements of multiple economic systems in different proportions and for different purposes. At no point in its history has the United States been an exception. Our crumbling infrastructure, for instance, can be repaired by well-funded public works, as it was under the New Deal. Chances are community members and local businesses would deem the project worth paying for. Since they’d all use the roads at some point, it makes sense to pay for them with community resources – like taxes. Nonetheless, the worldview of “socialism is bad, capitalism is good” frames much of mainstream American news and society. Like religion, it is instilled early on and remains pervasive throughout life. Just as humans did with vengeful gods, witches and the devil, we’re going to have to overcome our irrational fear of socialism. We must look at it as what it is: simply one of many possible methods for human organization with circumstantially dependent rightness and wrongness. No otherwise moral idea should be quashed simply for violating capitalist dogma or the Constitution. Were it not for capitalism’s role as a state religion, the only controversy about securing public-funded healthcare and education and repairing our infrastructure would be that we haven’t done so already.